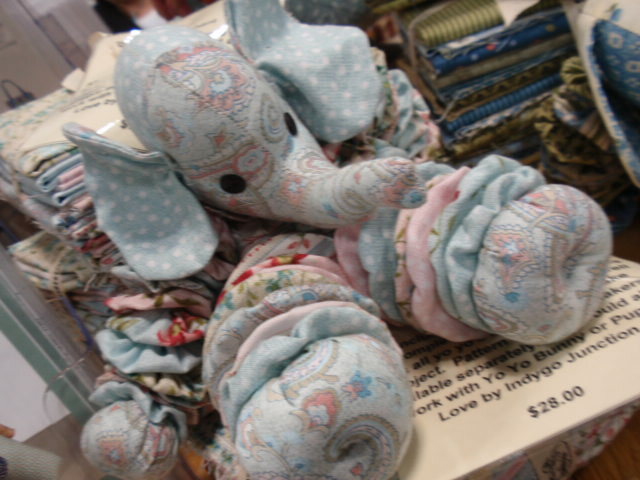 The Quilt Show on Friday was delightful. They showed the most beautiful quilts. Each one was a work of art in itself. We all love different things and there was something for everyone. I have a couple of photos here of my favorites, but unfortunately I forgot to get the names of the persons who made them. I am truly sorry about that so I cannot give them the credit they are due. If anyone knows who they belong to let me know and I will adjust my post. But they are LOVELY. Aren’t they the most beautiful pictorial things you have ever seen! Remember…these quilts belong to others…so no copying. Of course one of the best parts of the show is the vendor mall. It is amazing to see the variety of things for sale. And the lovely people who are designing and running the shops are delightful. 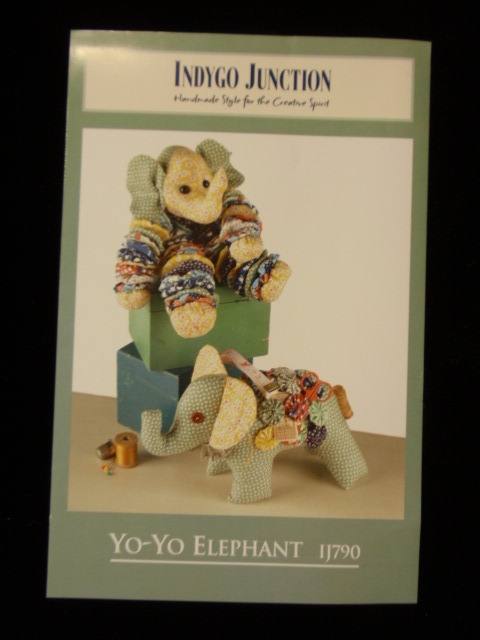 I found the greatest pattern for an adorable elephant from Indygo Junction. Here he is….isn’t he absolutely the cutest thing you have ever seen?!!! And then there was this unique sweet jacket that I simply couldn’t resist. 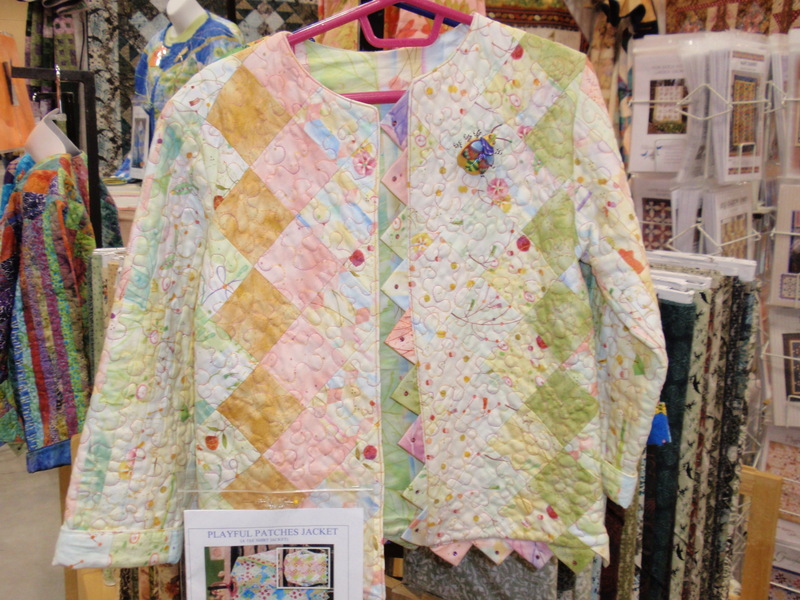 I bought this pattern to make a spring jacket with prairie points in soft colors like this one for my granddaughters. The pattern is called Playful Patches Jacket and it is truly more like “instructions” rather than a real pattern. You use your own oversized T-shirt (in the size of your choosing) for a pattern. It can be made with one jelly roll up to a child’s size ten and one jelly roll plus 2.5 yards of fabric for the lining for an adult to size 16. 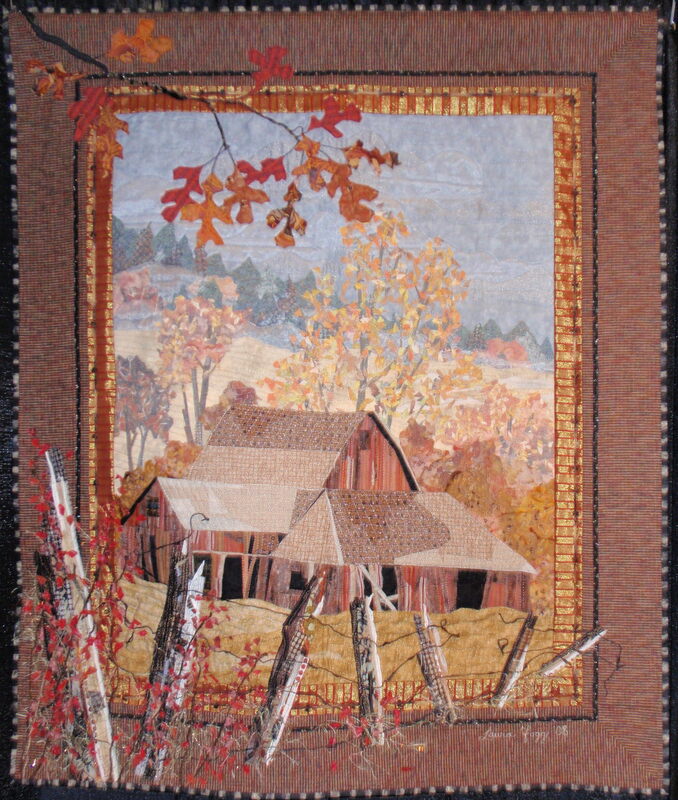 The company is called New Beginning Designs …(silverthimble@excite.com). They don’t seem to have a website yet, but I have included an email address if anyone is interested. Their shop is located in Springfield, New Hampshire. Love it! All in all, it was another GREAT day with friends. For one who does not like to shop, I guess I do like to do fabric and pattern shopping. 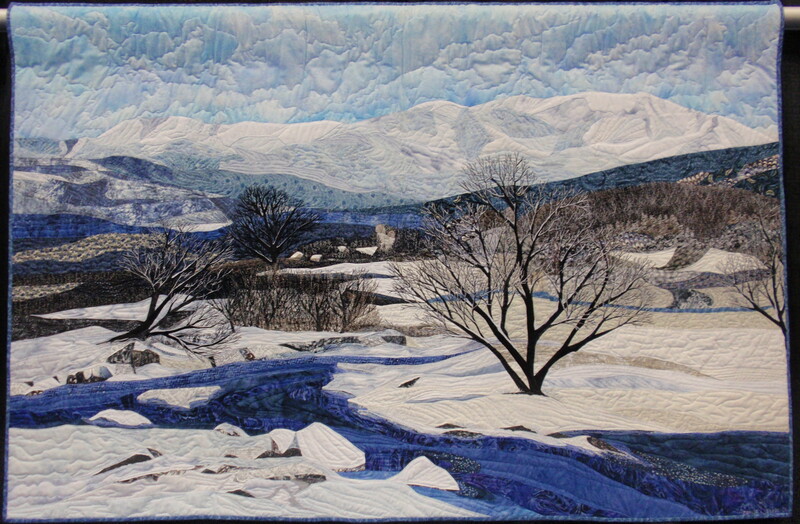 And viewing the works of art in the quilt show was stupendous! It was such fun.